Great Day in Lillie. Two well attended round Tables. 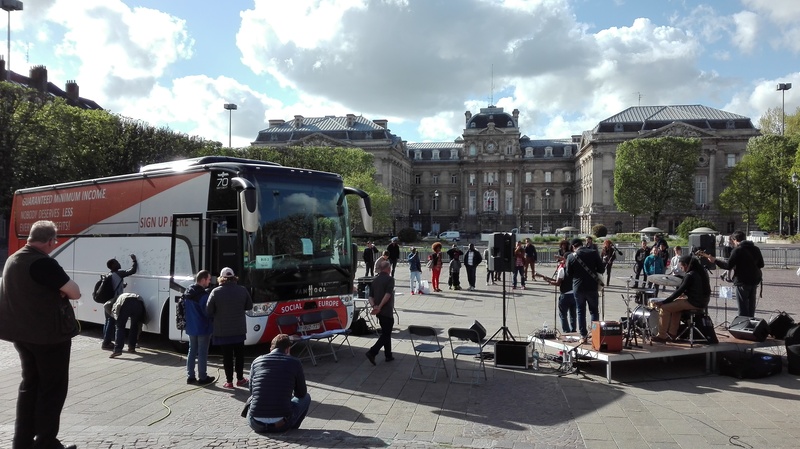 Loads of visitors to the bus on Place de La Republic. Great exchanges. 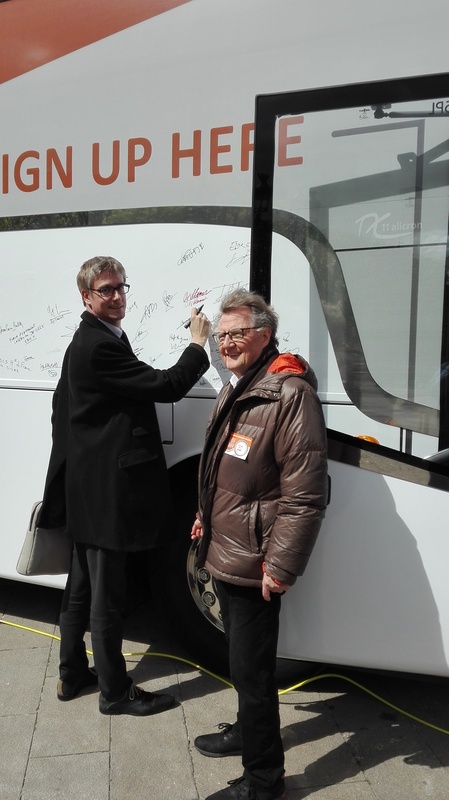 Delegate Inter-Ministerial #OlvierNoblecourt, responsible in the French Government for the prevention and the fight against, Poverty, signs #eminbus. Day ends with great music. We were parked by the commemorative stone for the Universal Declaration of Human Rights, celebrating article 1: all people have the right to live in dignity. May the emin bus do its part to make this right real! « Great launch of the EMIN Bus Tour!